The Garuda Indonesia Jakarta VIP experience continues on from the exclusive JetQuay service to even our airport transfer. Upon arrival at Jakarta, we were greeted with a fleet of luxurious BMW limousine ready to pick us up to Jakarta Kempinski Hotel Indonesia. The BMW was very spacious and there were cold face towels to refresh ourselves after the flight from Singapore. The limousine was also well-equipped with bottles of Evian (Yes – Evian; not any other brands of mineral water) for our 1-hour journey from the airport to the hotel. We also kept ourselves updated of the news and interesting travel articles through the latest edition of Jakarta Post and CNNTraveler magazines. Apparently, if you want to use your laptops while on the go, you can also charge them in the BMW limousine – I didn’t check if there is Wi-Fi, though I won’t be surprised if the BMW limo is Wi-Fi ready. Don’t be surprised if you are greeted with metal detectors and bag screeners when you check-in to Jakarta Kempinski Hotel Indonesia – this is a common feature among many 5-star hotels in Jakarta. 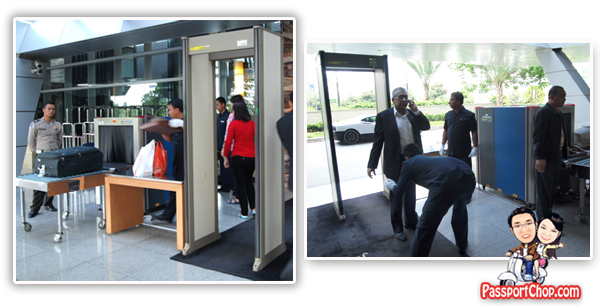 There are at least 2 layers of security – before our BMW limousine enters into the hotel compound, there is a first level of screening of the car to ensure no bombs are planted below the vehicle and just before you enter the hotel, your bags will be screened and you checked for weapons through a metal detector. I won’t be surprised if there is another layer of security checks at the Presidential Suite floor considering that the suite itself is bullet-proof and ‘super secured’. 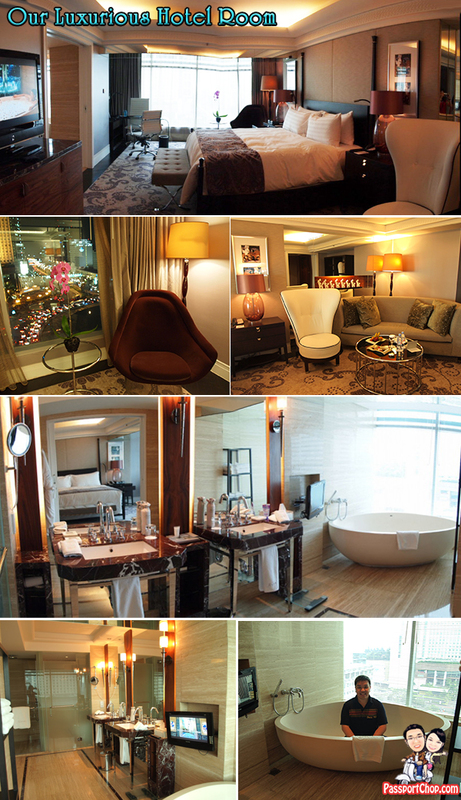 The Grand Deluxe room we stayed in was very spacious and luxurious. It was just so comfortable that we even considered skipping lunch and city tour to just chill out in the room – perhaps this is one of the reason why Jakarta Kempinski Hotel Indonesia has managed to be listed as one of the best newest hotel in the world 2010 by Conde Nast Traveler US. Don’t be fooled by the hotel’s minimalistic functional box-like exterior design – from the outside, this hotel looked like an aging school building but the hotel facilities and rooms are just so awesome – do note that this hotel has been around since 1960s and the hotel owners had managed to transform the interior without changing the hotel’s historic design so as to conform to government requirements to preserve the building’s heritage. Jakarta Kempinski Hotel Indonesia boasts a luxurious spa facility, well-equipped gym and spacious swimming pool all on one floor. Unlike other hotel gyms we have encountered which will have perhaps 1-2 treadmills with a handful of weight machines, there are about 10 treadmills and cycling machines and a range of free weights, complemented with about 10 weight machines which trains the muscles of different parts of your body. Perfect for the business traveller to cool himself off with a swim in the pool, sweat it all out in the gym and then relax with a massage in the spa. The Jakarta Kempinski Hotel Indonesia is connected to the Grand Indonesia Shopping Town, a mixed-used complex with premium facilities that provides one-stop solution for working, meeting, shopping, dining and entertainment – all these available just minutes from our room without even the need to step out into the streets of Jakarta. 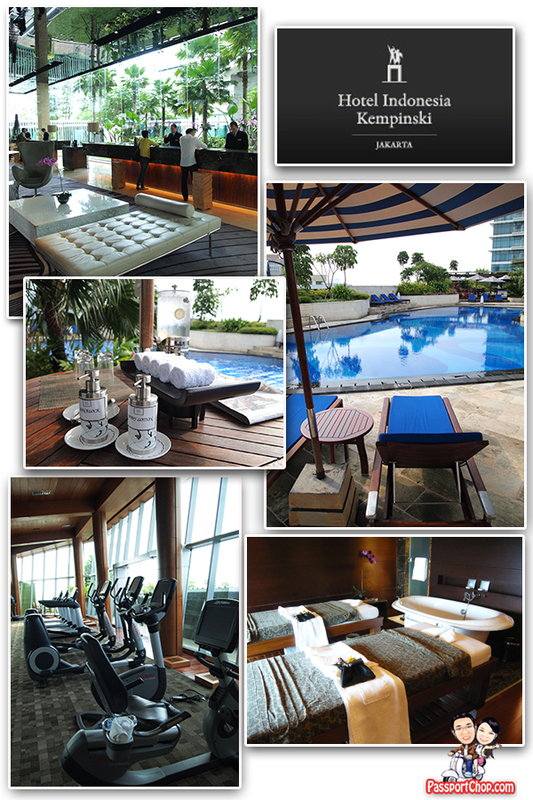 Hotel Indonesia Kempinski is definitely the best option for visitors who look for first class service and facility. Btw, the video with the music of the hotel room reminds me of the Sims! Yes this is by far my favourite luxury hotel! Beats any others that I have stayed in! Superadrianme: really…. must post up that pic of me not! No QC ah… tsk. Haaa.. opps… Brenda you referring to Adrian’s blog not ours rite??! Your Blog is very informative for everyone. Thank you very much for such a wonderful post. The article is worth to read. The uniqueness and balance that reflects from this blog post. Now-a-days blogs are used everywhere. The knowledge that we recieve from them are unevitable. The attribute required is the power of creativity within itself via learning, thinking, creating and rigorous study. Therefore the blog post is truely helpful for the readers. Thank you a lot for writing such an awesome article. I will wait for your future article with great curiosity. It’s absolutely true what you are saying in this article. Location,service, and experience offered are blended to be the strength of this hotel. All my trips to Indonesia is to Bali. After seeing what you have written about Jakarta, I have to pay Jakarta a visit for my next trip. yup Jakarta is great for shopping and food; shldnt miss it – very different from the more relaxed resort-style Bali. Hotel lama, tapi masih mantap pisann..